Nothing says summer like a garden full of big, juicy tomatoes. 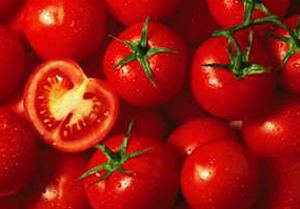 Here are some tips to keep your tomato plants healthy and productive. • Support the plants. Tomatoes are vines and want to lay their fruit on the ground to spread seeds as far as possible; we gardeners want that fruit for ourselves. For indeterminate vines, which keep growing all season long, surround each plant with sturdy 6-foot-tall, concrete reinforcing wire rolled into 18-, 20- and 22-inch-diameter cages, or wider if you prefer. (The varying sizes will nest together for storage in the winter.) Use a 6-inch mesh so you can reach into the cages to harvest. Determinate or bush types of tomatoes are self-supporting and just need a lightweight 3-foot-tall cage or stake. • Encourage the fruit. New plants putting on lots of foliage need watering about twice a week. Now that fruit has started to set, cut irrigation frequency by half, but apply the same amount of water during each session. If tomatoes dry out between waterings, they take up too much water too quickly the next time it’s available, and the fruit can crack and split. Irrigate slowly and gently to let the water percolate into the soil, encourage deep roots and keep the leaves dry. • Control the growth. Prune back indeterminate vines now. Reducing the vines’ mass helps prevent disease, and puts more energy into developing fruit. I know it’s hard to pinch off all those new blossoms at the ends of the vines, but they won’t have time to fully develop tomatoes before frost anyway, and the flowers take energy away from the more mature fruits. • Pinch off new suckers, side shoots that grow from the crotch where a branch joins the stem. If left to grow, they’ll form more stems and branches, overcrowding the cages and wasting energy needed for ripening fruit. Determinate-type tomatoes really don’t need pruning or thinning. When they reach a certain height they stop growing, and don’t set fruit until the bush is fully grown, when they set their tomatoes all at once. • Watch for disease. Weather is a big factor in diseases, and hot, muggy conditions will encourage disease. Early Blight is a fungus that attacks leaves, stems and fruit. Dark, concentric rings show up on mature leaves first, with yellow patches in the surrounding tissue. The leaves die and expose developing fruit to sun scald. Early Blight overwinters in plant debris and in the soil, so remove all infected plants and thoroughly clean up the garden in the fall. Copper- or sulfur-based fungicide sprays help keep the disease from spreading. Septoria Leaf Spot shows up as wet, raised, papery patches on the leaves, with tiny dark specks inside the margins. The lower, more mature leaves are affected first, and eventually the plant will lose foliage and expose the tomatoes to sun scald. Copper-based fungicides are effective at stopping the symptoms. • Control the bugs. Any number of insects show up later in the season to feast on tomatoes. One of the most recognized is the hornworm: a large pale-green worm with a black “horn” growth on the rear end. Tobacco hornworms have a red horn, but will do just as much damage to your tomato crop. By now the first generation of caterpillars will have dropped to the soil, pupated and emerged as sphinx or hummingbird moths to lay smooth, oval, light-green eggs on the upper and lower sides of leaves. The larvae blend in with the foliage and are hard to spot, but handpicking them is the best way to deal with these destructive eating machines. Go hunting after dark; hornworms feed mostly at night. Parasitic braconid wasps (Cotesia congregatus) can also be used to attack and lay eggs on hornworm larvae, killing them. Bacillus thuringiensis kurstaki (Bt) strain is sold as a spray you apply to the plant’s leaves. The hornworm consumes the treated foliage and soon stops eating and dies. Bt is harmless to bees, lacewings, ladybugs and other beneficials, but will kill all caterpillars, so be sure to keep it from butterfly plants. Bt is sold under the trade names Dipel, Thuricide and Green Step.